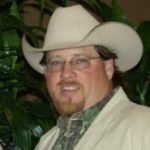 LandInvestors.com › Forums › *New Member Introductions* › Cowboy and Cowgirl start new adventure together! Hello everyone! We are Chad and Jeannie Hunter and we are new to Land Investors! We own a ranch in Montana and love to rodeo together! We are former insurance adjusters looking to make a new adventure into real estate. We have experience in many avenues of real estate to include fix-N-flip, wholesale, rentals, and commercial…..but we are looking to get into land deals! We are both eager learners and very HARD WORKERS! We are looking forward to our next adventure! So, saddle up partner and lets ride! Thanks so much Rowdy! I really appreciate your offer to help! The same goes here…if we can ever help you and your wife just let us know! Thanks again! !